In the Settings tab go to the Allow drop down and select Custom. 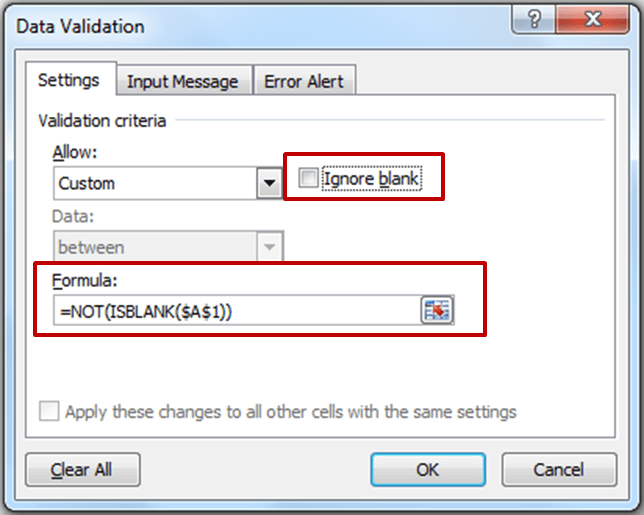 In the Formula field, type =NOT(ISBLANK($A$1)). Ensure that the Ignore blank is Unchecked. Quickly Enter Data in Excel in a Specific Order in Non-Contiguous Cells. 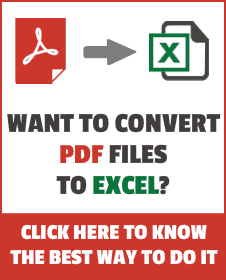 Creating an Excel Data Entry Form. Second it avoids certain anomalies using isblank. Isblank is also ambiguous… =ISBLANK(” “) → FALSE, so blanks are not blanks as far as IsBlank is concerned. So all in all testing LEN 0 is preferable. This is simple enough, however, if you then want to apply data validation on what can be entered in A2 you can’t since only one validation is allowed for a cell. So how can you both prevent entry unless A1 is populated AND apply say a validation of a drop list in A2?